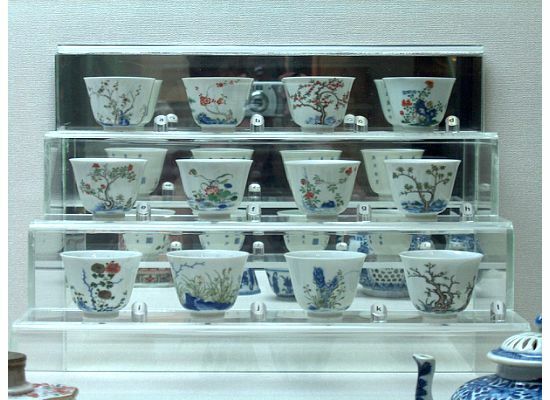 I have a passion for the Twelve Cups in the Hong Kong Museum of Tea Ware. I went there twice and just couldn't get them out of my head. This museum is also known as Flagstaff House Museum of Tea Ware. Chinese have a long history of serving tea. From the general public to the privileged, tea is a part of everybody's daily life. I am definitely a coffee lover. But my family loves tea. 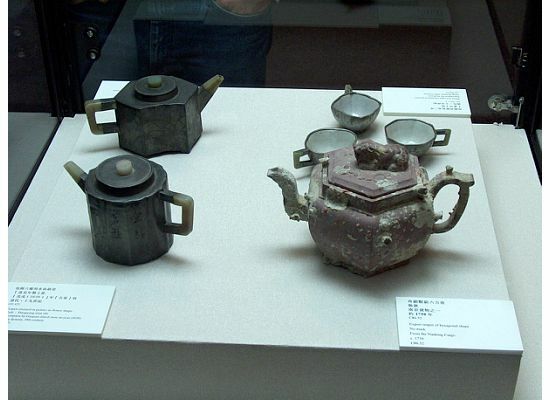 My father even loved to spend hours using his precious purple clay tea set to brew his favorite Chinese tea. My uncle, my mom's younger brother, and brother-in-law spend tons of money in buying the best Chinese tea leaves they can find in Hong Kong and China. Because of all these reasons, there is no excuse for me to pass this museum. 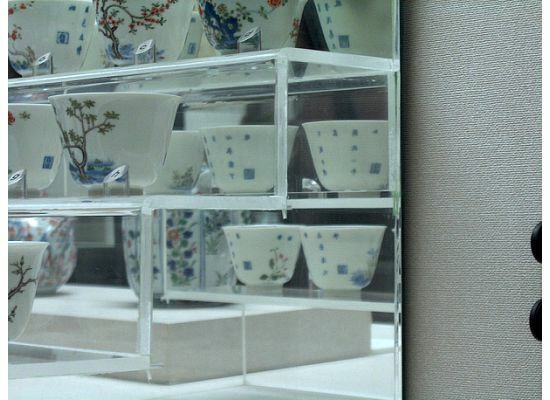 In it, you will see collections of tea ware used during different periods of time throughout Chinese history. You will also learn how each tribe in China served tea, for example cream tea by a tribe in the north and Gongfu tea originated from Chiu Chow where my dad came from. Here are some pictures of my favorite Twelve Cups in the museum. The closeup of the back of the Twelve Cups. Can you see the stamp on each cup? That's the name of the artist. Aren't they stunningly beautiful and breath-taking? This is the only complete set in the world without any damage. Men...it would be nice to have a set at home, huh? 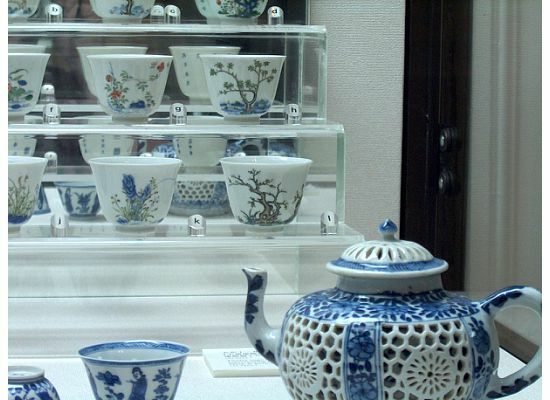 There is no admission fee to get into the Hong Kong Museum of Tea Ware. You can also take as many pictures as you want. After that, check out the HK Seal Stone Museum or enjoy some great Chinese authentic vegetarian food nearby. If none of the above is interesting to you, keep walking toward Central to get out of the HK Park where you can check out the Capital of Hong Kong, take the Peak Tram to visit the HK Peak or shop in some luxurious department stores in Central and Admiralty. 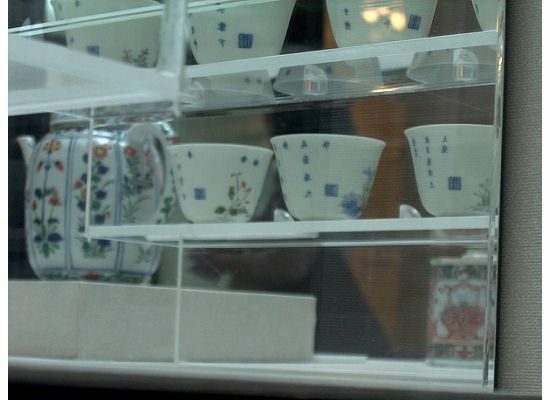 Learn more about the HK Museum of Tea Ware. Pacific Place Exit - Take the escalator and head toward Hong Kong Park through the Pacific Place Mall - After going through the fountain in the park, follow the directions to the museum. Click here to check out the photo album on our Facebook page.